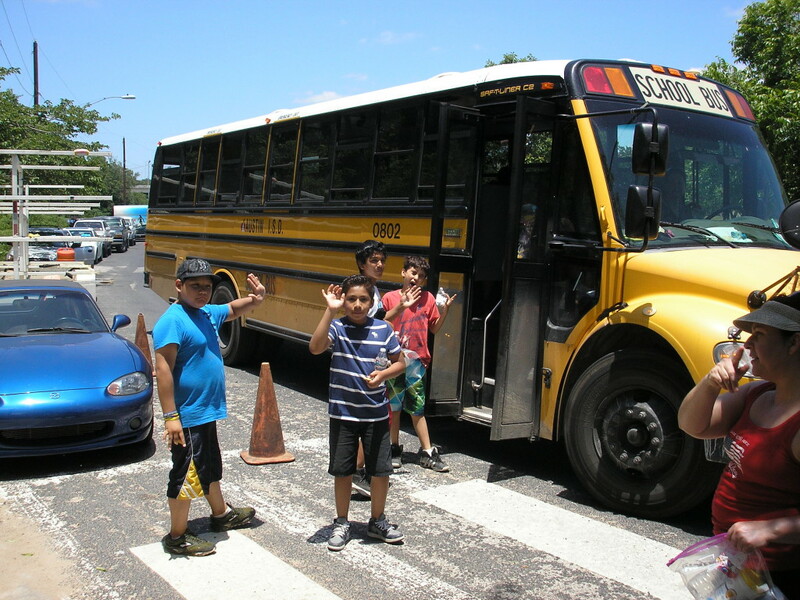 Students from Sanchez Elementary School arrive at Lady Bird Lake for River Sense Class. 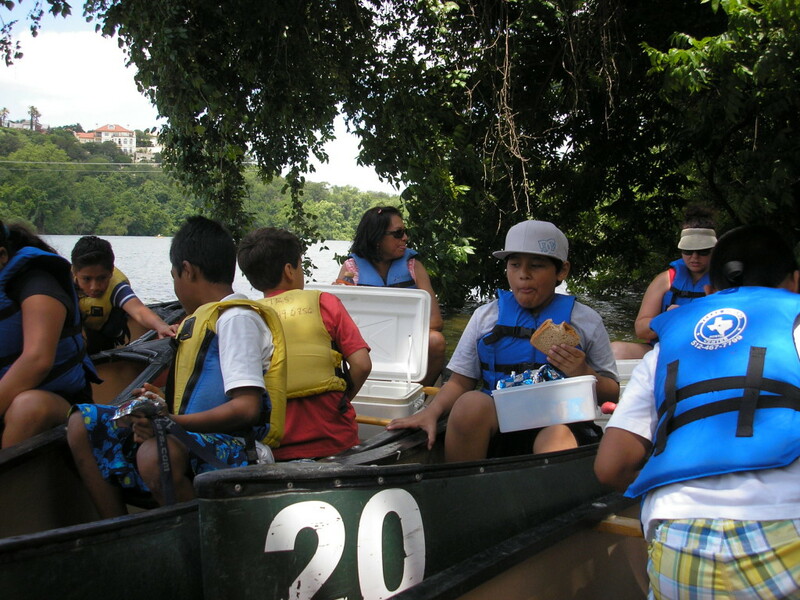 On May 19th, students from Austin Independent School District’s Sanchez Elementary School arrived at Lady Bird Lake to participate in Texas River School’s River Sense Class. All students had studied “River Sense” and had taken a fun quiz on the Texas River School’s website to test our knowledge of the the 12 River Sensibles. We put on our personal flotation devices (life jackets) and carried our ice chests to the dock of the Texas Rowing Center. 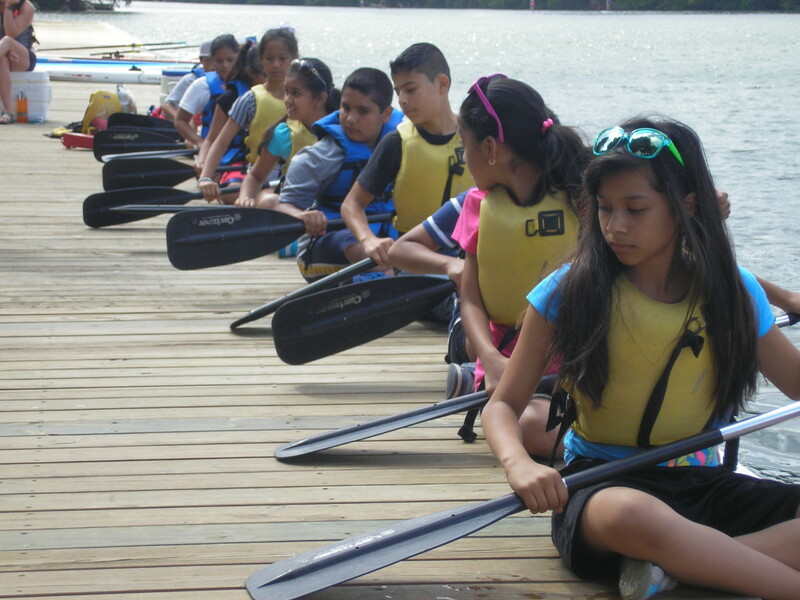 Students practice their paddling strokes on the dock of the Texas Rowing Center. We learned how to get in and out of canoes. We learned many paddling strokes: forward stroke, backward stroke, C-strokes and J-strokes. And we learned how to stop. Sanchez Elementary School students each lunch in canoes on Lady Bird Lake. Paddling west on Lady Bird Lake, we visited a small cove where we saw a Great Blue Heron walking in the water. We also saw many turtles and a beautiful white swan. We worked up quite an appetite paddling on that windy morning, so we gathered the canoes together, opened up our ice chests and ate a healthy lunch. After lunch, we paddled back to the dock and safely got out of our canoes thanks to our teachers and the staff of the Texas River School. Texas River School + Eeyore’s = FUN! Texas River School is Now Hiring!